I waited patiently in the sand to get these shots of this hermit crab in his nifty home. He very much disliked the noise of the camera clicking. 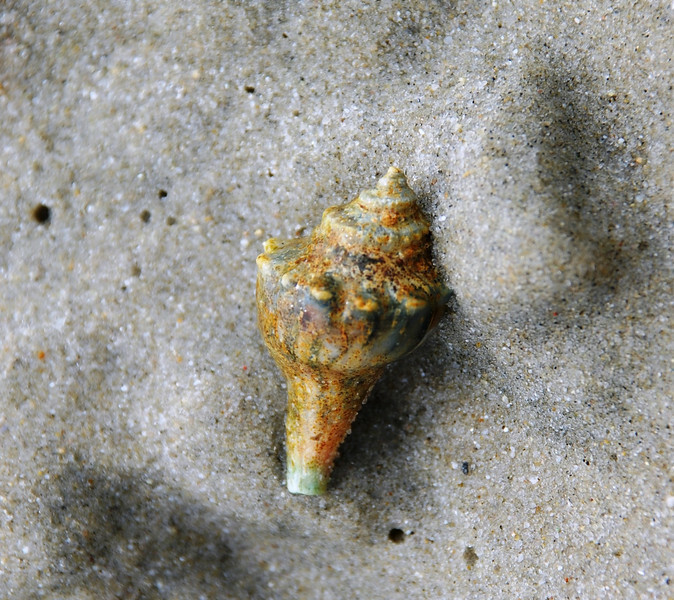 The seashell itself was only about 1.5 inches long.